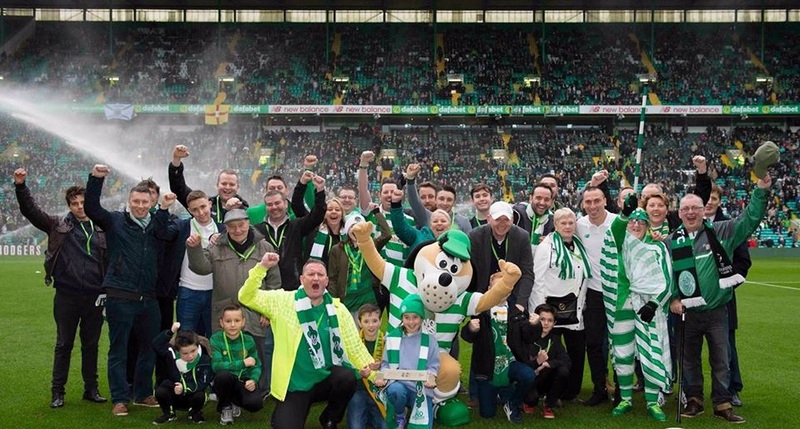 The game against Kilmarnock may not have been the best result for the team but for one lucky KANO ghirl it was the best day ever..
Zara Gilmore pictured below with our long serving mascot Declan, was one of the lucky few who were invited by the club to receive the FIFA Greatest Fans In The World award from Kano Foundation Patron and Celtic Captain Scott Brown just before the kick-off at yesterdays match. 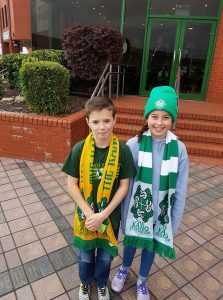 Zara from Coatbridge, was attending the match with her Gaelic football club as guests of the Kano foundation. Before the match we gave every child attending the match a raffle ticket and lucky Zaras was picked from the hat.